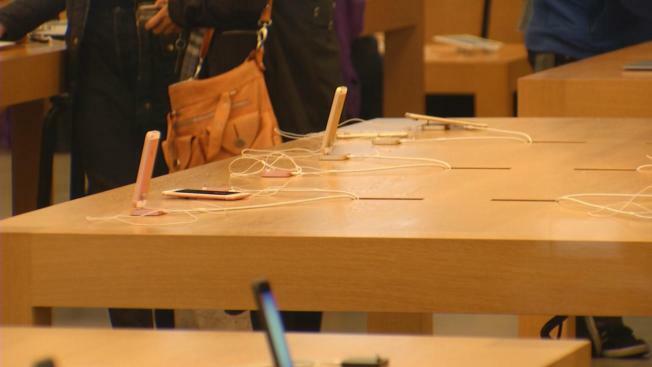 A recent string of robberies at an Apple store in Berkeley has authorities and the public searching for answers. A small group of suspects donning hoodies and masks covering their faces have targeted the popular tech store located on 1823 4th St. and seized a number of pricey items during three separate theft attempts. "They aren't there for very long," Berkeley Police Department Sgt. Andrew Frankel said. "It's a property crime, focused theft. We know what they are there for. We are working with Apple as well as the business district on 4th Street to see what we can do to stem that type of crime." The robberies happened when the store was open, but no one was injured during any of the heists. Investigators are still trying to gather any pertinent information related to the crimes and police say they will be increasing patrols in the area as well as keeping a watchful eye on the shopping area as the holiday season approaches.